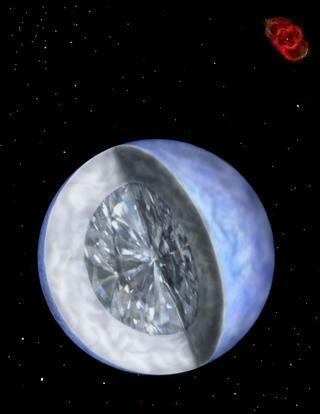 The interior of this probably very old white dwarf is a diamond with a diameter of more than 4000 kilometers. The inside of white dwarfs often is pure carbon. The pressure in this star has agglomerated it to form a diamond.